Headlines > EU affairs > Current page:: EU elections: how many MEPs will each country get in 2019? The distribution of seats in the Parliament is set to change after the next European elections as a result of Brexit. Check out the numbers in our infographic. The new rules that were formally adopted by EU leaders at their summit in Brussels on 28-29 June will come into force in time for the European elections to be held on 23-26 May in 2019. The new distribution is based on an earlier Parliament proposal. MEPs gave their consent to the decision on 13 June. It will lead to a reduction in the overall number of seats after the UK's withdrawal from the EU comes into force, although some EU countries will get some additional MEPs. At the moment the Parliament boasts 751 seats, which is the maximum number allowed by the EU treaties. Following the decision, 27 of the UK's 73 seats will be redistributed to other countries, while the remaining 46 seats will be kept for future enlargements. This means the number of MEPs to be elected will be 705. The redistribution of seats approved by MEPs ensures that no EU country would lose any seats, while some would gain anything from one to five seats to redress under-representation following demographic changes. The decision takes into account the population of member states and follows the principle of degressive proportionality. 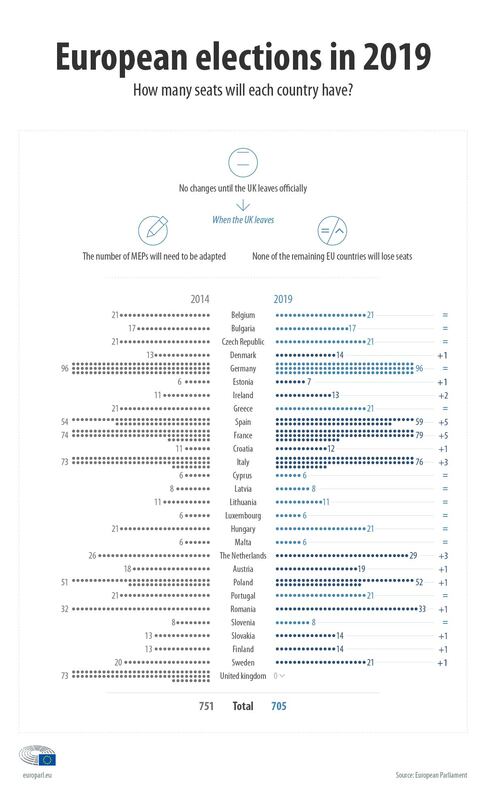 That means that countries that are smaller in terms of population should have fewer MEPs than bigger countries. At the same time, MEPs from larger countries should represent more people than MEPs from smaller countries. In this way, members from smaller countries have a relatively stronger presence in Parliament. The new distribution will come in force only after the UK has left the EU. This is currently expected to happen at the end of March 2019. When Parliament was preparing its proposal for the distribution of seats after 2019, there was a discussion about establishing a joint constituency on the entire territory of the EU that would vote on pan-European electoral lists, in addition to the seats allocated to each country. This idea was rejected in the final plenary vote in February 2018. At present, there is no precise formula to determine the number of MEPs that each country has, with only a few general rules set out in Article 14 of the Treaty on European Union. This means that a decision needs to be taken by heads of state before each EU election. In a separate report adopted in February, MEPs reiterated their support for the so-called spitzenkandidaten process introduced in 2014. This means European political parties nominate their candidate for the president of the European Commission ahead of the European elections. 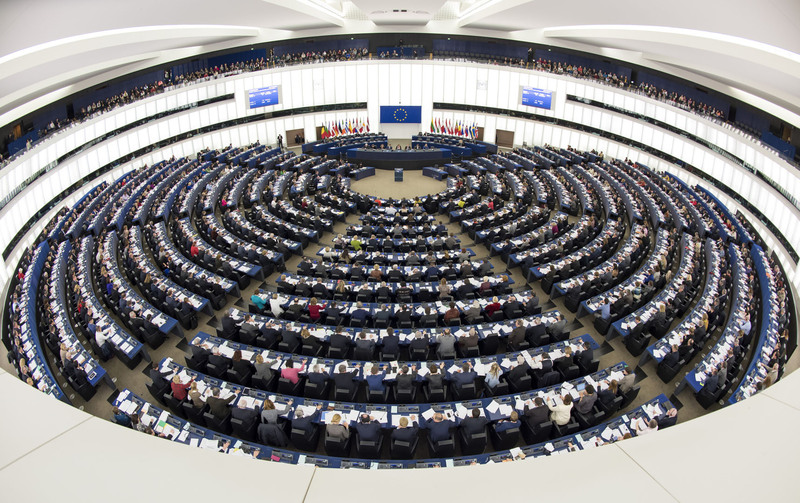 MEPs argue that the process establishes a link between the choice of Commission President and the outcome of the elections and say Parliament is ready to reject any candidate for the post who has not come through this process.